WOW! Look at all the new FabFree group gifts!! KingbalStores – Added 4/8/19 – Upstairs!! Categories: FabFree Group Gifts, Free, group gifts, groups | Tags: "7 Deadly S[K]ins", Alias!, ARTIZANA, Cremosas Store, fab free, fabfree, FabFree group gift, fabulously free in SL, Fatal Fashion, free group gift, KingbalStores, luzifee, Second Life, sl, Sweet Willows, YoU by GMyles | Permalink. Fab Free Designer of the Week – Nuts Inc. Welcome to the Blog Fab Free’rs! I hope you’re ready for this edition of Fab Free Designer of the Week. This time we have the pleasure of sharing Nuts Inc. with you. This fun little shop has brightly colored fashion for men and women. Yep, you read that right, there’s menswear at Nuts Inc. along with ladieswear. As you enter the store you’ll find the clothing separated by women’s fashion on the left and men’s fashion on the right. The clothing styles range from casual wear to formal, and everything in between. I even spotted a ballgown or two. There is also a second floor at Nuts Inc. with a few seasonal and miscellaneous clothing items. First however you’ll want to stop by the front desk. There you can find a group gift for guys and one for gals. 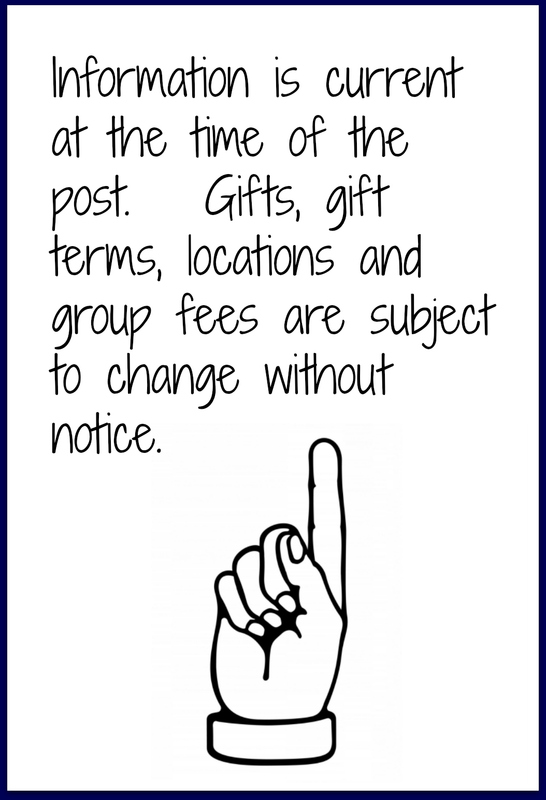 The Nuts Inc. group has a one time join fee of 15 linden. 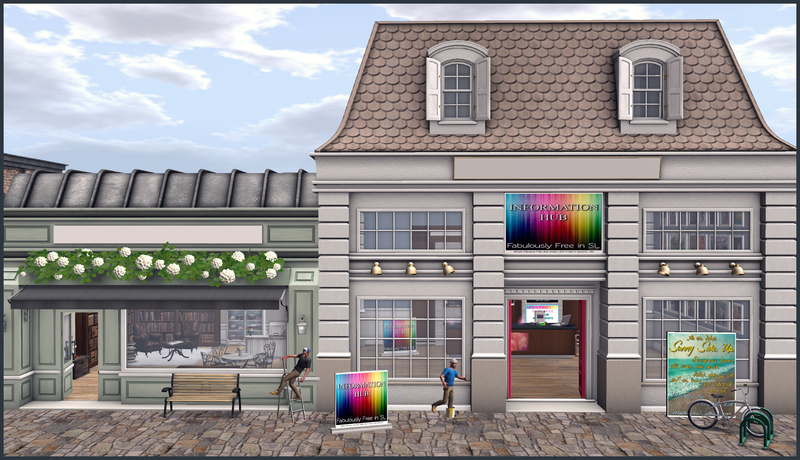 In addition to the current group gifts, you’ll find a 70 linden promotional offer in the same area of the Nuts Inc. store. Just look for it on the wall opposite the desk. 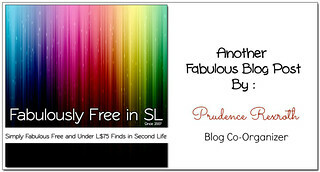 Right next to it you’ll spot the colorful Fab Free logo above the current Fabulously Free in SL group gift. You’ll need to wear your Fab Free tag for this one. 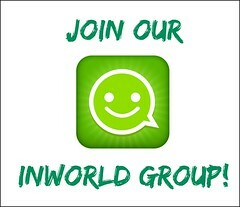 If you’re not already a member, you can join for free. As you explore the Nuts Inc. shop be sure to make it to the back of the store. It’s there you’ll find a kiosk with quite a few past group gifts still available. Finally, next to the past group gifts you can also get all the store information such as their Flickr and redeliveries. 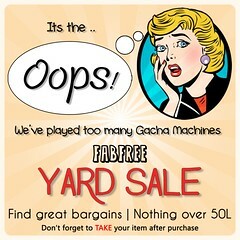 Happy Shopping Fab Free! Categories: all-in-one outfit, business wear, dress, FabFree Group Gifts, FF Designer Of The Day, formalwear, Free, group gifts, groups, Locations, mens, mesh, other, places, sleepwear, swimwear | Tags: fab free, Fab Free Designer of the Week, Fab Free in SL, fabfree, FabFree group gift, fabfree in sl, fabulously free in SL, Fashion in SL, female fashion, FFDW, free, free group gift, free in sl, freebie, Ladieswear, male fashion, Mens Group Gift, menswear, NUTS Inc., Nuts Inc. Group Gifts, promo, Second Life, Shopping in SL, sl, sl freebie | Permalink. 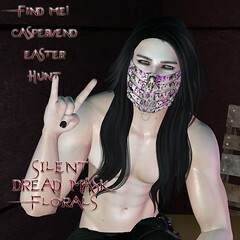 New Fabulously Free in SL Group Gift: Alias! Categories: dress, FabFree Group Gifts, Free, group gifts, groups, mesh | Tags: Alias!, fab free, Fab Free Group Gift, fabfree, FabFree group gift, fabulously free in SL, free clothing SL, free in sl, freebies sl, group gift, Second Life, Second Life Freebies, sl, sl free | Permalink. Categories: dress, FabFree Group Gifts, Free, group gifts, groups, mesh | Tags: De'Fient Unicorn, fab free, fabfree, FabFree group gift, fabulously free in SL, free in sl, group gift, Second Life, sl, sl free | Permalink.